Elsa Eldridge Just Wanted a Story. If She's Not Careful, She'll Become One. Tyrell was hurled down a long black tunnel, away from the Light. He entered an infant's body. 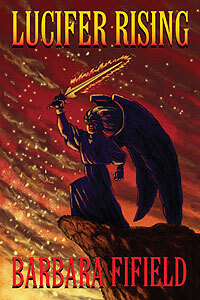 What was he, the Archangel Lucifer, doing here? "You are being born," the Voice said. "But I'm an angel. Angels don't reincarnate." "You are no longer an angel. You have been placed on earth to learn about suffering and humility. Until you have had these lessons, you shall not return. You shall experience what the human race is having. These are antidotes for pride and ego. You have corrupted Heaven with your arrogance." He had been born again and again, a victim on the Wheel of Karma with the Voice calling in his ears. Was he to experience rebirth after rebirth? When would he return? When would he reclaim the power which God had granted him at creation? Barbara Fifield is a retired social worker and journalist who has published widely in newspapers and literary journals. 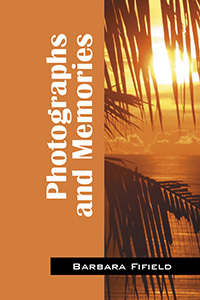 She is the author of Photographs and Memories, published in 2009. 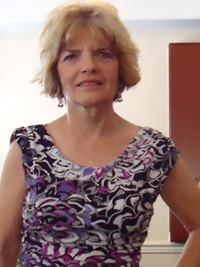 A member of several writing groups including Tomoka Poets and the Ormond Beach Writers' League (OWLS), Fifield lives in Port Orange, Florida. 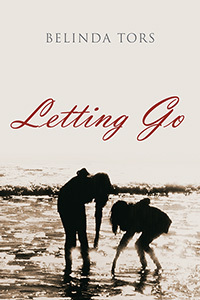 She is at work on a collection of poetry spanning the last quarter century.